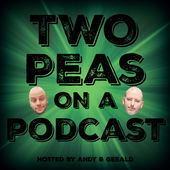 Andy, Gerald & very special guest (Kacey Spivey) discuss the London terror attack, Tomi Lahren’s future, leggings on a plane, the Justice Leauge trailer, the Mindy Kaling/Corey Booker “romance,” and much, much more! Enjoy and share! Find our guest host, Kacey Spivey, at www.heykace.com or on Twitter @hey_kace. Find this week’s featured #PodernFamily shows on Twitter @EpicFilmGuys and @YogurtPodcast.